Whatever’s in the water over in Western Australia, I want some of it—maybe it’ll be the key to my longtime dream of playing a professional sport. 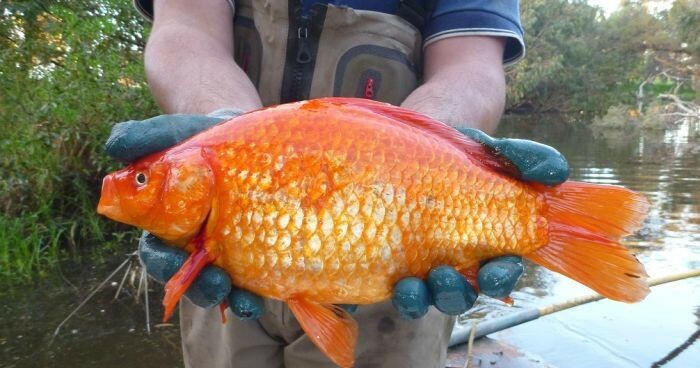 You see, goldfish inhabiting the waters off the country’s western coast suddenly look a lot different than the fish you won at the carnival as a kid: They’re MASSIVE. Additionally, captive goldfish are also common disease carriers. Released into the wild, they infect the species around them with these new diseases. 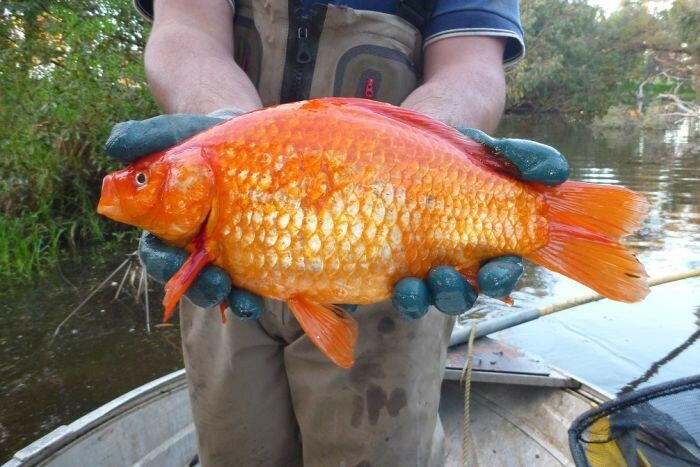 One such disease has already been identified, thanks to these mutant goldfish. The solution might rest with resisting the urge to release your pet goldfish back into the wild. Menegus writes, “Aquarium dumping is a huge problem worldwide.” So, for any goldfish owners out there—whether you have just one or an aquariumful—make sure you’re not trying to do a “good deed” by dumping your old friends into the wild. Chances are he’s not going to end up any happier out there. He’ll probably end up spawning a four-pound mutant goldfish baby who could potentially spread disease to the entire aquatic ecosystem. Okay, I think you get the point. Could The Future Of Bananas Be In Jeopardy?